The festival will explore the cinematographic and thematic exchange between Soviet and Hispanic cinematic traditions. All films, with English subtitles, will be shown in Main Hall 201 at 4:30 p.m. on their respective dates. Each film will be preceded by a small presentation and an interactive audience discussion will follow the screening. All film showings are free and open to the public. 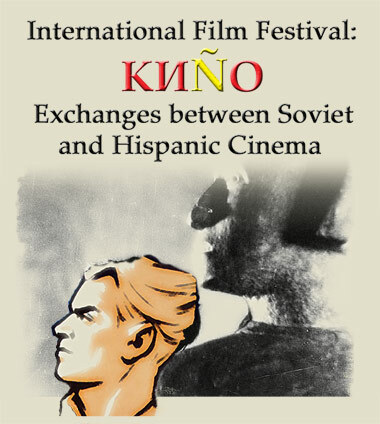 Organized by Lawrence’s Russian and Spanish departments and the film studies program, the festival showcases films by prominent directors such as Sergei Eisenstein and Luis Bunuel, whose work reflected the political climate of their own countries as well as those experiencing revolution far away. • Tuesday, Feb. 19— “Que Viva Mexico!” 1932, Soviet Union, directed by Sergei Eisenstein. Shot in 1931-32, “Que Viva Mexico!” originally was intended to be an episodic study of Mexico’s ethnography and symbols against the backdrop of its colonial history up to the early 20th century. But a series of political and economic intrigues prevented legendary Russian filmmaker Sergei Eisenstein from properly editing his film. In 1979, this version of the film was reconstructed by Eisenstein’s assistant director from his former mentor’s notes. • Wednesday, Feb. 20 — “Maria Candelaria,” 1943, Mexico, directed by Emilio Fernández. Maria Candelaria, a young woman, is shunned by local townsfolk because her mother once posed naked for an artist and was stoned to death because of the incident. She must consider the consequences while making a similar choice. • Thursday, Feb. 21 —”Soy Cuba,” 1964, Cuba, Soviet Union, directed by Mikhail Kalatozov. Set in the final days of the Batista regime in Cuba, the movie uses four distinct short stories, two to illustrate the ills that led to the revolution and two that highlight the call to arms. • Tuesday, Feb. 26 —“The Discreet Charm of the Bourgeoisie,” 1972, France, Spain, directed by Luis Buñuel. Luis Buñuel’s Academy-Award-winning film follows a group of well-to-do friends who attempt to gather for a social evening but are thwarted at every turn. Seeming at first to be a simple scheduling mistake, the obstacles become increasingly bizarre. • Wednesday, Feb. 27 —“Death of a Bureaucrat,” 1966, Cuba, directed by Tomás Gutiérrez Alea. After an inventor dies and is buried with his union card, government red tape prevents his widow from collecting any pension money, so she attempts to rob her husband’s grave. A morbid subject with a humorous treatment, the film mocks Cuba’s bungling bureaucracy.